When is a good time to buy real estate? The easy answer is yesterday! Real estate has proven time and time again to be one of the best long-term investments on the planet and, I don’t think it’s ever a bad time to own real estate, but some people work hard to try to “time the market”. 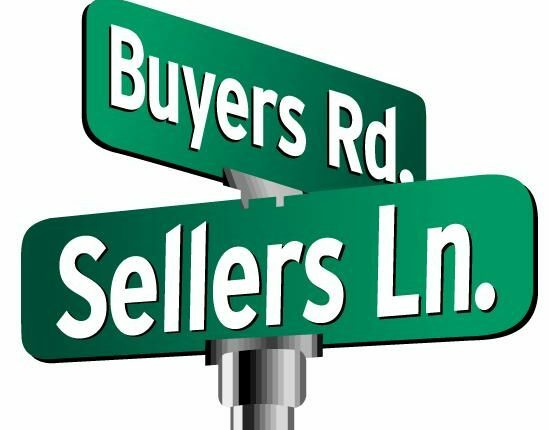 So -Buyer’s Market – Seller’s Market – Balanced Market – how do you tell which one you are in? You really need to look at a combination of factors to determine where you currently fall on the spectrum. Supply & demand of inventory, interest rates & trends, and government regulations tend to play the largest roles. Supply and demand levels are very important – You need to know how much housing inventory is available in your market and you also need to know how many homes sold in the last month. For example – if there are 1200 homes available in your market and 200 sold last month then you have a 6-month supply of inventory. 6 months is a good middle ground and about the middle of what I would call a balanced market. As that number of months of inventory reduces, you move in to the seller’s favour, where if it increase you move in the buyer’s favour. Anything below 4 months I would consider a Seller’s market. Above 8 months I would consider a Buyer’s market. Another significant factor is interest rates – At the simplest level, the higher the rates go, the less buying power someone has with borrowed money. This can translate into both a lower number of overall sales as well as a lower sales price for what does sell. The reverse is also true. When rates decline, a buyer will be able to qualify for and afford a larger total mortgage without increasing the actual payment. Lower rates usually make buying easier and that contributes to a healthy Buyer’s market. For example – Assume you can afford about $1000/month for housing. At a 3% interest rate you’ll be able to afford roughly a $212,000 mortgage. If rates happen to drop to 2%, you can now afford $236,000 in mortgage for about the same payment. However, if rates were to increase to 4% that same $1000 monthly payment now only gets you about $190,000 in mortgage buying power. Bank rates usually follow the Bank of Canada rate, so things tend to go up and down in unison however, the specific interest rate that you qualify for could be dramatically different then the rate I qualify for. Many factors including credit score, credit history, income, liabilities, job security, citizenship, and much more can come into play. You need to sit down with an expert and go through the pre-qualification process to really know what rate applies to you and your situation. You can also get a “rate-hold guarantee” so that you have a 90 or 120 day window that they will hold your interest rate even if rates go up. Government regulations also have a very large impact – Rules on how you qualify for a mortgage are set by the federal government. A number of these rules were adjusted in the last few years and those changes are having direct impacts on buyers trying to qualify for a mortgage. In simple terms, buyers must meet specific ratio requirements so that their debt does not exceed a certain percentage of their income. The current rules require buyers to qualify at a rate of 2% higher then the actual rate they are getting. This recent rule change has the effect of reducing your buying power by about 20% from where it was prior to implementation. For example – under the new rules, if your mortgage is taken at a 4% interest rate, you must qualify at a 6% interest rate to be approved for that mortgage. Another change made in the last few years was to increase the minimum down payment required on mortgages over $500,000. Mortgages of $500,000 or less can be entered into with a minimum of 5% down. Mortgage amounts between $500,000 – $999,999 require 10% of the amount over $500,000 as a down payment, and mortgages over $1M require 20% down and cannot be insured. These recent changes were designed to slow down the hot housing markets. In the bigger centres like Toronto and Vancouver, it seems to have had the desired impact. Unfortunately, the smaller centres like Regina have also been affected by reducing the number of qualified buyers and also the amount of mortgage they can qualify for and afford. Taking buyers out of the equation effect demand and therefore contributes to a Buyer’s Market. On the flip side, there are also government programs that can make it easier to buy homes. The federal home buyer plan and different tax credits can also help to incentivize home buying for some consumers! Never forget that “All Real Estate Is Local” – That means that even though interest rates and regulations usually apply to the whole country, they will have different impacts in different places. When deciphering your local real estate market situation, don’t make the mistake of looking at what is going on in other cities. Look to your own city information, your local market, and your local professionals to guide you through the process.